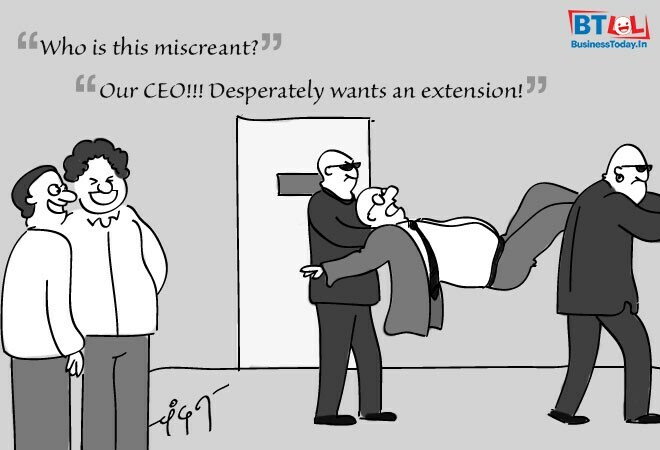 Cartoon of the Day by Chandan Kumar: "Who is this miscreant?" " Our CEO!!! Desperately wants an extension!" Cartoon of the Day: A roadshow for an IPO and other jokes!